What can you get on a £1500 budget? I was asked this question earlier this week and it had me completely stumped. A quick browse of eBay saw a general rise in prices for everything sporty compared to the prices when I last had a look this time last year, either due to the promise of good weather or other factors that might demonstrate a pattern of rising used bike prices in future. Early R1’s are no longer in the fifteen hundred quid bracket that they were a year or two ago. First generation Aprilia RSV Mille’s that were once languishing unsold on the used marked at a grand have now been snapped up. 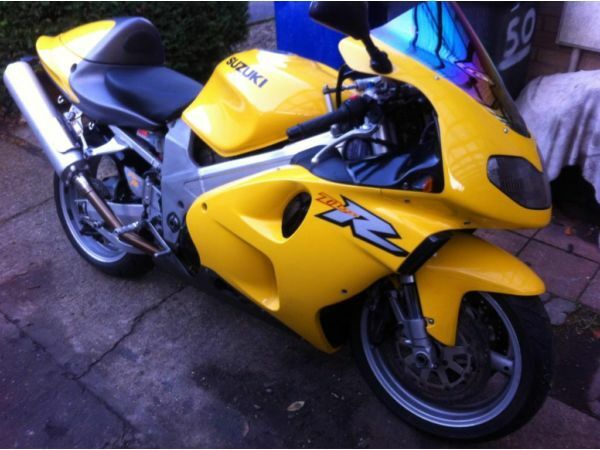 Even the Suzuki TL1000R’s are making a comeback and you’ll be pretty fortunate to find even a tatty one for £1500. 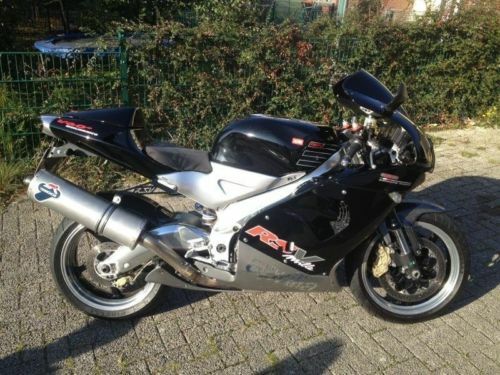 This Aprilia Mille from the year 2000 will probably end up going for more than £1500, but it has to be worth a cheeky bid? A dubiously badged Termignoni exhaust is included with the sale and a chip along with a new chain and sprockets mean it hasn’t been totally neglected. Perhaps the crack near the headlight fairing will keep it within budget? One to watch. If you’re feeling the V-Twin vibe then how about a Suzuki TL1000R? Prices have reached silly levels recently with a local dealer selling a standard low-mileage example for an unbelievable £4800.. This one is up for £1875 but if you’re good at haggling then who knows what you can get it down to? The owner’s reason of “selling because I have too many” may need further prodding. 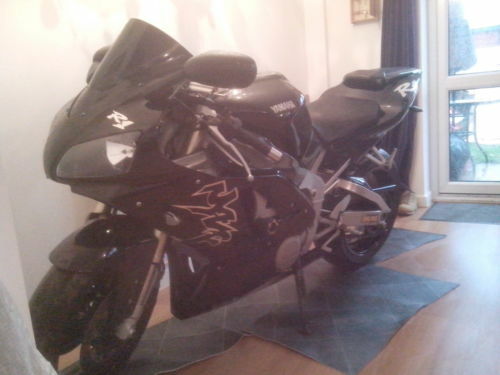 Gumtree can also attract stolen bikes so treat anything listed on there with the usual level of care. If only an R1 will do then your budget will be squeezed to the maximum thanks to the growth in their popularity recently. 98-99 4XV models are collectors items now and the newer 00-03 models regularly fetch a lower price than their first generation counterparts. Don’t expect anything approaching original condition but bargains can still be had if you look hard enough. Watch out for a dodgy second gear, smokey engines and frame damage that is commonplace on early examples. If you have one already then hang onto it for dear life.